It's around this time of year that my mind wanders to holidays. The weather brightens up, I get greedy and start searching for more sun. Expedia appears more times in my browser than I'd care to admit right now, and naturally, a bikini body plan is starting to take shape. But as well as running more and cutting down on those tasty beige foods, I'm turning attention to hair and, more specifically, getting rid of it. 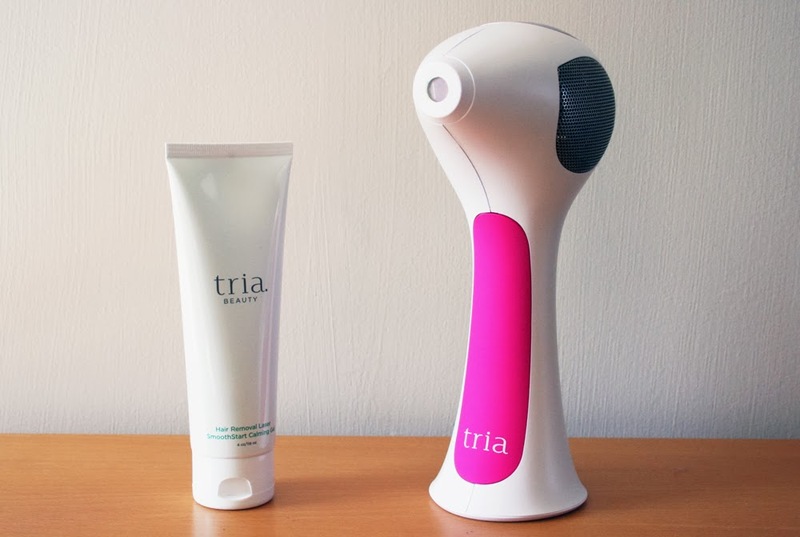 Enter the Tria Hair Removal Laser 4X, which offers an at-home method; a DIY laser that gets to the root and zaps your body hair. It's pricey, but less so when you consider the cost of salon treatments, and promises a mere three months of use will blitz hair permanently. It's quite a claim, but one that I'm keen to test out for myself, especially as, unlike other lasers, it's not a bother to use. It is a lift-and-press motion that 'beeps' as you move along skin, but it works in milliseconds so you can zip along in record time. And better yet, you only have to treat the hair once every two weeks, which, even if you're Beyonce, you can find the time to do. It's also quite a light device - ideal when you're feeble like me - so you won't be suffering with the dreaded ALAS (achey laser arm syndrome, obviously). The laser has five settings that you can up when you're a pro, but I've been advised to only start with number one at first. I did, however, have a little play and tried the highest on my arm, and can happily say that minus some heat, it still felt comfortable. For someone who couldn't use baby lotion because of their sensitive skin (See? Feeble), the fact I had no negative reaction is quite the miracle. I won't terrify you with pictures, but I'll be testing on underarms and legs, though actually, this clever device can be used on both body and face. It's slick, fast and a lot less clunky than any other that I've seen, so I'm really excited to give you an update one month from today. Check back on April 5th to see how I'm getting on with this, and read more about the laser at TriaBeauty.co.uk. Tria Laser Hair Removal product is available in wide ranges as per the skin types are concerned. Its working is so easily explained here and how this product can be used in home effectively. Tria's beauty product always top the search list and so when I was in search of some beauty products I found triabeautylaserhairremoval.com a really very informative website which explains all the significances of tria's beauty products.